PLEASE CHECK your mailbox today! HANDS OF GRACE is in need of crackers, any kind, and juice, any flavor, laundry detergent, toothbrushes, and plastic bags. Thank you. ***Autumn Pot Bless…. With the arrival of fall, it’s a perfect time to join in the warmth of fellowship. All are welcome on October 15th from 5:00 to 7:30 in the lower fellowship room for food and friendship. To help us prepare, please RSVP by October 10th to Don or Emily Poudin 860-485-9299 or [email protected] with the number attending and a favorite dish you would like to bring. ***MARK YOUR CALENDAR! Ladies Aid will be making wreaths for the annual Christmas Fair on Sunday, November 27th, immediately following the 10:45am Service. Details to follow. NEW! Choir Informational Session… TODAY immediately following the 8:00 am worship for about 15 minutes. This will be an opportunity for current choir singers and those interested in singing in the future, to preview the 8:00am choir hymn selections for the Sundays in October and the Festival Choir selections for Thanksgiving and Christmas Eve. Another preview opportunity will be in late October, but this first optional informational session will allow singers to receive the music in advance and to listen to the festival choir music. Regular rehearsals for Thanksgiving and Christmas music will begin the first week of November. New choir singers, teen to adult, are always welcome! Please see Ruth Yeadon for more information. 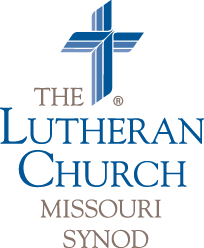 Lutheran Early Response Team (L.E.R.T.) Training…will be held at Our Savior Lutheran in Topsfield, MA on October 1st. Training will be provided by Deaconess Tiffany Manor and Brenda Bacon. In order to better manage volunteers and resources, FEMA has established guidelines on credentialing volunteers for large-scale disasters. These guidelines indicate that volunteers responding to a disaster should be trained and certified. By providing this training, our District can establish LERT Teams throughout the District, and should a disaster happen, these teams would be put on call and may be asked to deploy in 72 hours or less to respond to the disaster. The registration deadline is fast approaching, so please see the information on the table in the narthex for more details and to register to be a part of this event. Deadline is today, so please see Pastor Manor if you are interested. High School Youth…are invited to gather here at St. Paul’s for the monthly hangout time TODAY, from 3 pm – 6 pm. Pizza and drinks will be provided for supper. If you want to bring a favorite snack to share, feel free to do so. Bring a friend too! Any questions? Text Marissa Manor at 309-310-5915. Small Investments Reap a Big Reward … With only $100 you can make a real difference… You can open a StewardAccount with Church Extension Fund. Your savings will be drawing interest (with higher interest rates for larger amounts) as others use those funds to spread the Gospel through new, expanded or improved facilities. To learn more, or call 1-800-THE LCEF (843-5233).